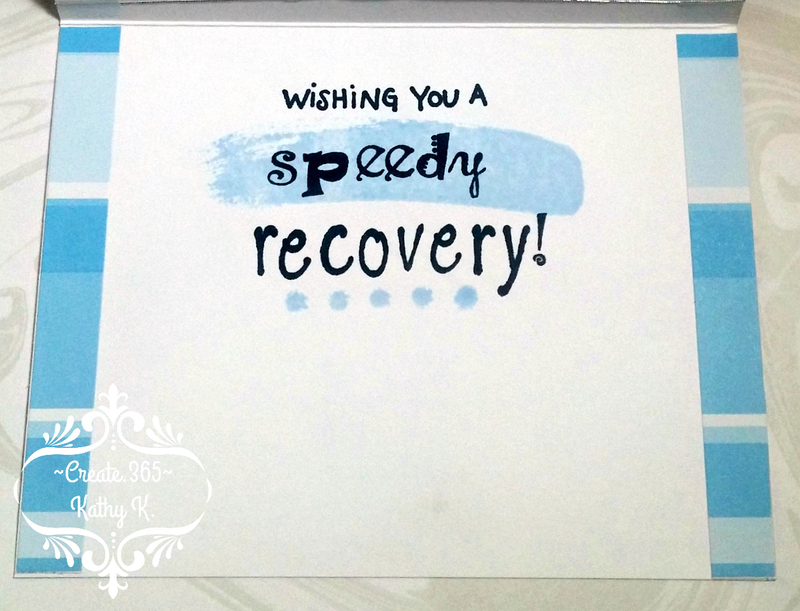 ~Create.365 ~ Sharing My Paper Crafting Life: Wishing You a Speedy Recovery! 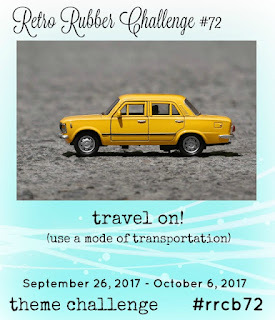 Today's card is my second chance at being the Guest Designer over at Retro Rubber where the theme is "Travel On" this week. This time it is because this anniversary card was voted as the Design Team's Favorite back in August -WooHoo!!! 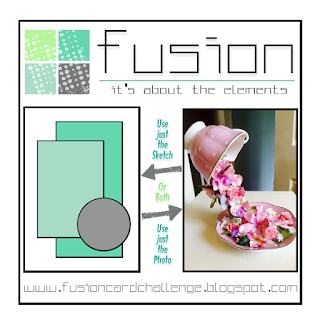 I will also be entering it @ the Fusion Card Challenge because I used their sketch, @ Simon Says Stamp for the Wednesday "Pop It Up" challenge, @ Monochrome Magic for "Anything Goes", @ The Divas that Diecut for "Masculine/ Men/ Boys" and @ Creative Craft Cottage also "For The Men/Boys". 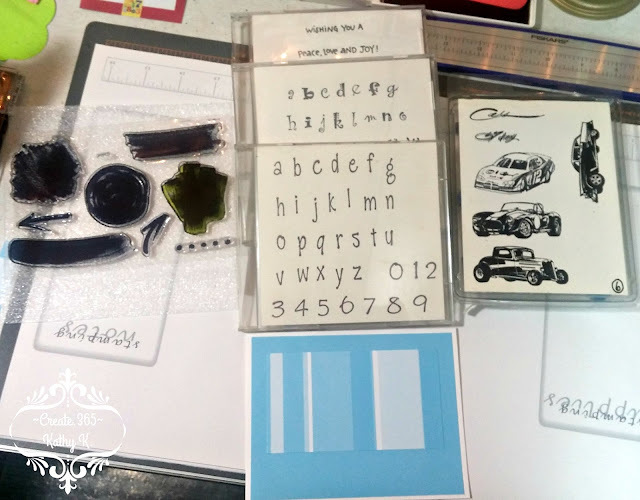 The ABC stamp sets and the car stamp set are all long ago retired from The Angel Company and I have had them for at least 10 years now. The scribble stamp set is newer and came from CTMH just a few months ago. The patterned paper is also over 10 years old and was from a coordinated paper stack. This card was made on an A2 white top folding card base, but I did rotate the sketch horizontally to better accommodate my images. Because there was no coloring involved, this card went together pretty quickly! 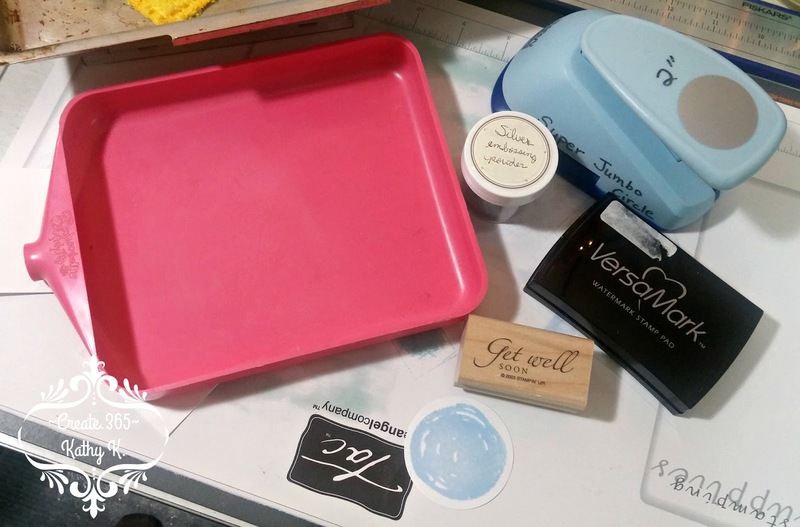 I stamped the scribble circle using my Stamp Perfect tool so that I could get good ink coverage when using such a light blue shadow ink. 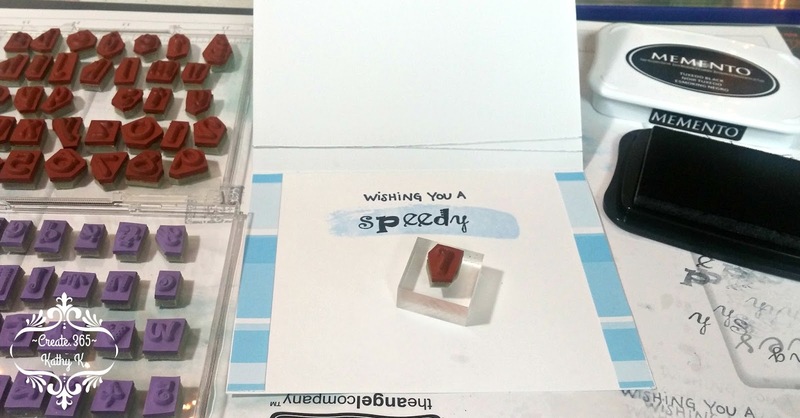 I then embossed the "Get Well" stamp (from SU! and also several years old) in silver right on top after I used the circle punch to cut it out. To build my inside sentiment, I had to go completely custom using ABC stamps and black ink over top of a brushstroke stamped in light blue. 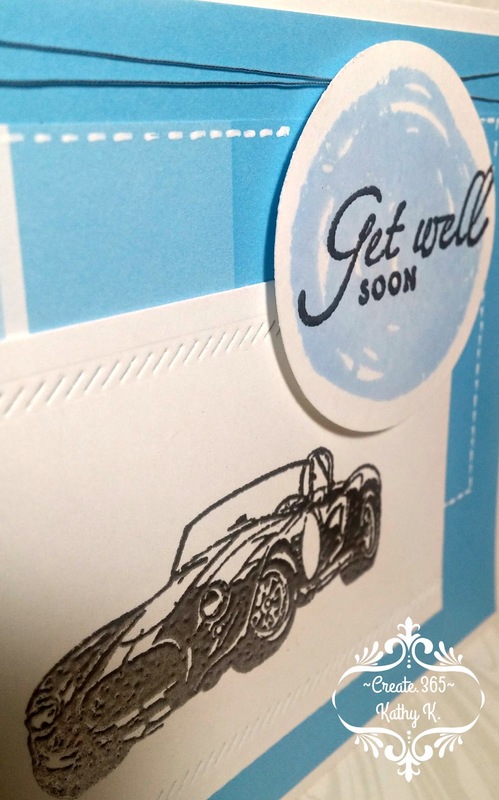 I also stamped and embossed the car in silver on a white rectangle and then used a single, long, stitched diecut from Lawn Fawn on the top and bottom edges to help give it some definition. I then took my white Signo gel pen and added the faux stitches along the edge of the blue striped panel to help it stand out a bit from the blue background. I just love the texture that embossing adds to an image! The sentiment circle was popped up with foam tape, but the rest of the design was glued down flat using my ATG gun. The last step to finishing the card front was to wrap the thin silver thread around the card front twice and securing it under the sentiment circle. Inside, you can see that I also made good use of two of my paper scraps, plus I went back and stamped the dotted border in the blue ink. Great masculine CAS card and perfect for our Travel theme! Your choice of color is great, too. Thank you for being our guest designer! We love seeing your cards in our gallery so play along again very soon. thank you so much, Debbie! I promise that you will continue to see me in the gallery -I love the Retro Rubber challenges! 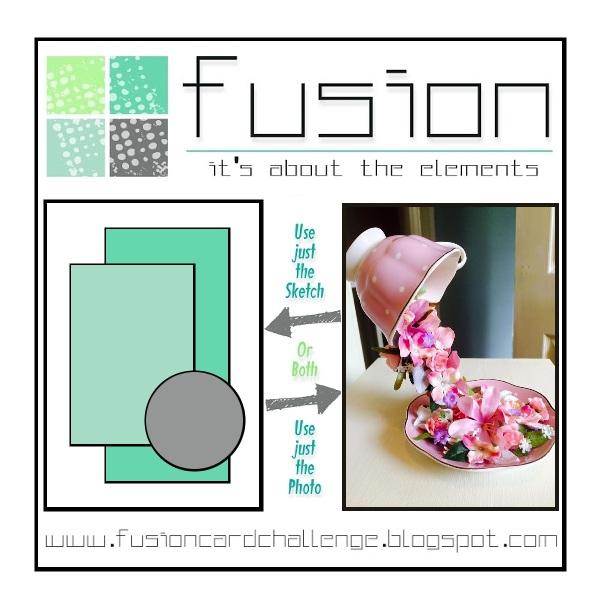 Hello Kathy: First, thank you for being our Guest Designer for this challenge, it's awesome to have you along. Now, masculine cards are hard for me to make and I'm very happy you made this one, which I will Pin immediately after I post this comment. Love the fast car image especially silver embossed, that looks awesome. Fabulous colors and layout too. This card will make anyone feel better FAST!! Thank you for sharing and I hope you come back and play again next time. Thank you so very much Maria for your kind words!!! 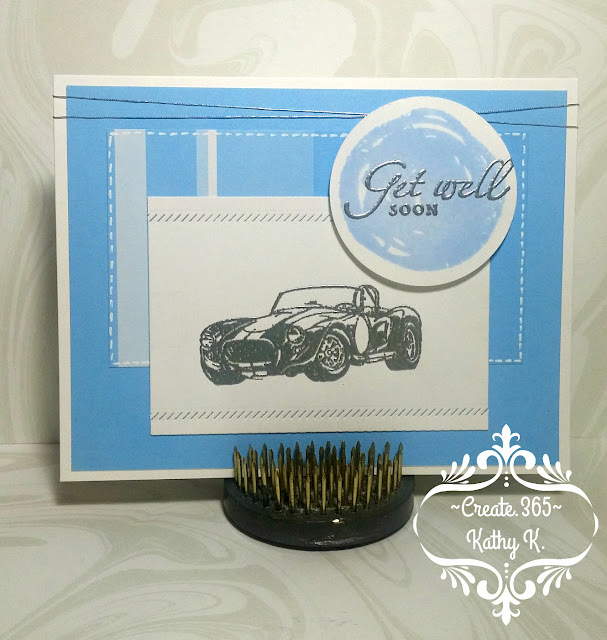 So clever to add the die cut border .. it pairs perfectly with the car image! Great card! A car is great for a guy and I love the sentiment. Perfect font for a speedy recovery. So glad you joined us at Die Cut Divas. Love the simplicity of this masculine card! 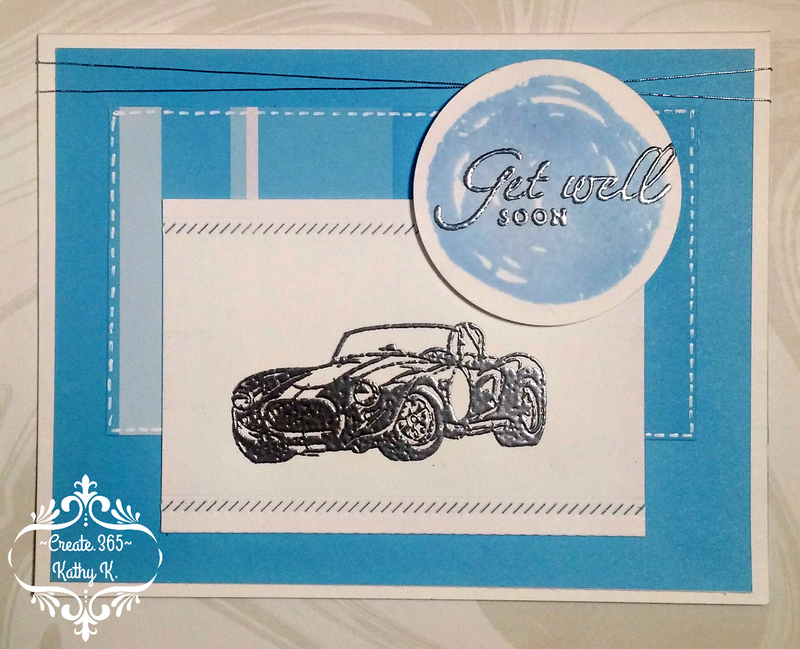 GREAT embossing! 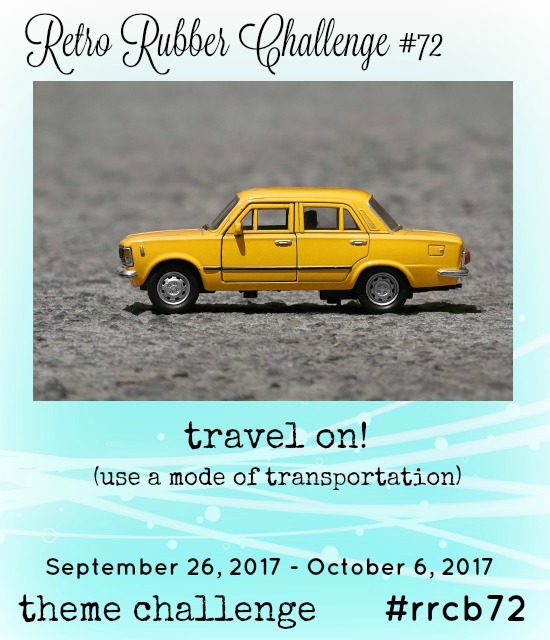 So glad that you join the fun over Simon Says Stamp Wednesday “Pop It Up” Challenge! Awesome details and design! Super work! Welcome back as GD for us at Retro Rubber, Kathy. Your faux stitching had me fooled - I was all ready to compliment you on getting out the sewing machine when I read your post! I agree with you that embossing is amazing for adding texture. Lovely card!